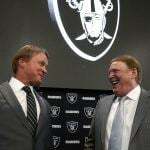 The NFL’s relationship with the gambling industry has been about as cordial as a Redskins and Cowboys game, and the league’s disgust for casinos and sports betting has been on full display in recent months after Oakland Raiders owner Mark Davis expressed interest in moving the franchise to Las Vegas. 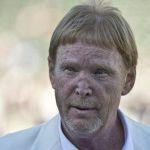 NFL Commissioner Roger Goodell has correctly stated that the decision to approve the Raiders to Sin City would ultimately be up to the league’s owners, but the NFL itself continues to oppose any form of gambling that could potentially jeopardize the integrity of the game. 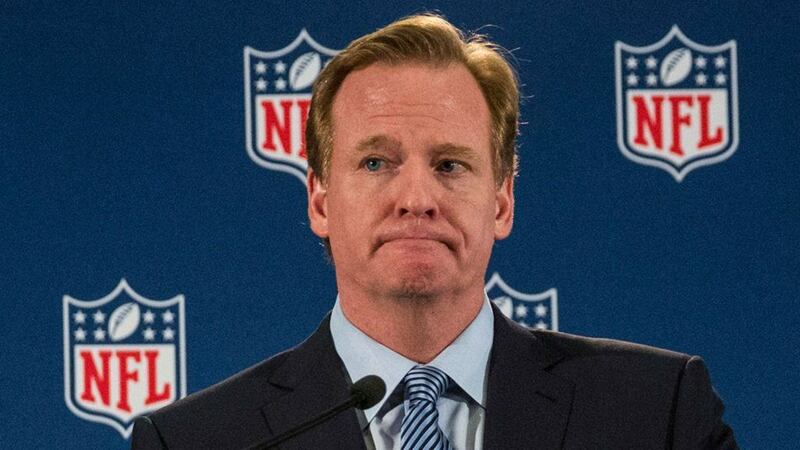 The AGA doubled down on revealing what it believes to be hypocrisy on the part of the NFL by exposing the fact that more than 80 percent of teams currently play their home games within an hour’s drive of a casino. “Concerns about athletes playing games in Las Vegas are dramatically misinformed. It’s time for a fresh look at the sports betting prohibition that is pushing widely popular sports betting activity to an illegal market that threatens the integrity of the sports we love,” Freeman pronounced. 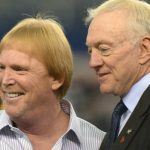 NFL brass have opined for years that allowing a team to play in Las Vegas would lead to an influx in sports betting and could seduce players into either gambling on their games or entering illegal agreements with criminals. Sports betting is currently only offered at Nevada casinos. The state received immunity from the Professional and Amateur Sports Protection Act (PASPA) when it was passed in 1992 due to the state’s already legalized sportsbooks. 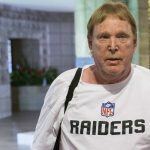 Though casinos outside of the Silver State are prohibited from offering odds on sports, the AGA highlighted on May 25 that 16 of the NFL’s 32 teams play within 11 miles of a casino. For a league so opposed to gambling, it is quite ironic that so many stadiums are neighbored by gambling facilities. As Casino.org reported, sports betting revenue hit record levels in April by generating $292 million in handles for a $13.5 million win for sportsbooks. The NFL, MLB, NBA, and NHL, the Big Four of the United States, have all traditionally opposed sports betting, but that has quickly changed when it comes to the National Basketball Association. NBA Commission Adam Silver, who is embarking on just his third year as boss of basketball, has freely expressed his stance that sportsbooks on the NBA should be legal and regulated. “I think it should be legal. . . It should be transparent,” Silver stated. Goodell and the NFL have embraced daily fantasy sports (DFS), which came as a surprise to many. Some 40 states now have some form of gambling, and New Jersey remains diligent in fighting to end sports betting prohibition in its state.